A man in Rochdale, England has broken the Guiness World Record for tallest stack of tortillas. Joy Ehsan, 34, stacked 389 individual tortillas that measured 26.96 inches (68.5 cm) in height on his first try. His accomplishment was painstakingly assembled in a banquet hall in Salford, where he works as a manager. He recently received his World Record certificate from Guiness last week for his feat he accomplished in August of 2017. According to Guiness, to be recognized for breaking a record it must be “measurable, provable, have a single superlative, and be beatable. Ehasan submitted his evidence needed and after a lengthy review process, he earned the coveted certificate; but he is not stopping there, he has already submitted an application to break the record for world’s tallest stack of chairs, which is currently set at 16 feet. He is not the first person in Manchester to accomplish record-breaking endeavors: chemists at the university there used molecular strands to create the world’s tightest knot and a ballet tutu the size of a bus was unveiled last year. 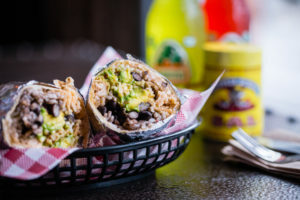 If any of our fans and followers would like to attempt to break the record with an even higher stack of tortillas, we would be happy to supply them and vouch as a witness for the certificate. The chicken enchiladas we’ll be covering today begin their life in a slow cooker before the finishing touches are added in the oven. Below is what you’ll need to make them, just in time for the upcoming weekend. Begin by heating a pair of tablespoons of oil over medium-high heat using a small skillet. Saute the onion for about two minutes and then continue by adding the cumin, chili powder, and coriander until the onion becomes soft. This process should take about three to five minutes. Add some garlic and stir until it becomes fragrant, about thirty seconds or so. Move everything over to a slow cooker and then stir in the sugar and tomato sauce. Use the pepper and salt to season the chicken and place it in the slow cooker. Cover it up and cook until the meat becomes tender, between four to five hours on a low setting. Once it’s ready, move the chicken over to a medium bowl and let it cool a bit before shredding it into bite-size pieces using a pair of forks. Add a cup and half of the cheese, lime juice, jalapeños, cilantro, and a ¾ cup of sauce to the bowl and combine all of the ingredients. Move your oven rack over to the middle position and heat it up to 450 degrees. Grab a 9×13 baking dish and spread another ¾ cup of sauce on the bottom of it. 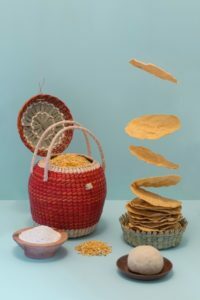 Use the two remaining tablespoons of oil to brush each side of the tortillas and then stack them up, wrapping them in a damp dish towel before placing them on a plate. Microwave the tortillas until they become pliable and warm for about a minute or so. Using one tortilla at a time, spread a 1/3 cup of filling on the center of each one before rolling them tightly around the filling with their seam side facing down in the baking dish. Arrange your enchiladas in a pair of columns using the width of the baking dish. 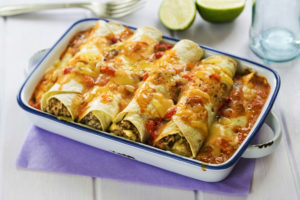 Use whatever sauce you have left to entirely cover the enchiladas and then sprinkle with the half cup of Monterey Jack cheese you should have left. Tightly cover the dish with some greased up aluminum foil and then bake the enchiladas until they become heated and the cheese has melted, about fifteen minutes or so. 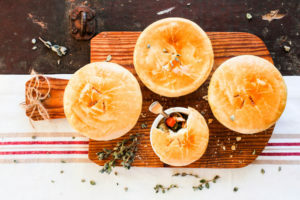 Are you a fan of chicken pot pie? Well, pay close attention then, because you’re probably going to want to try this variation. Here is what you’ll need. Pair of jalapeños (minced and stemmed) with the seeds removed. Place a tablespoon of salt and the pieces of chicken in a large pot, cover it with water and allow it to boil. Turn the heat down so that the food simmers and then cook until the chicken becomes tender, about thirty minutes or so. Take the chicken out of the pot and let it cool a bit. Put a pair of cups aside to use as gravy. Throw out the bones and any skin the chicken may have, shred it, and place it aside for now. Use medium heat to melt the butter in the pot and then add the remaining salt, jalapeños, carrots, celery, and onions before cooking. Make sure to frequently stir for at least five minutes until the onion becomes translucent. Follow by adding the garlic and thyme and cooking for about a minute. Once this is done, add the sour cream, the reserved stock, and the cream and allow these ingredients to boil, cooking for an additional two minutes. Stir the cheese in and cook until it melts. Turn the heat back down to medium, stir in a trio of tablespoons of roux and allow it to simmer, again stirring for at least three minutes. Stir in some additional roux if necessary until the mixture achieves the thickness you like. Finally, add the peas and the chicken you shredded earlier, turning down the heat and simmering for three minutes. After you’ve tasted it, tweak the seasonings to your liking. Once it’s time to prepare the tortillas, use a platter lined with paper towels. Use a heavy pot or Dutch oven to heat about an inch and a half of the oil over high heat at 400 degrees. Add the tortillas one by one and let each one cook for at least a minute until they become puffy and lightly brown. Spoon the oil over them during this process but do not flip the tortillas over. After draining the tortillas, poke a small hole in each tortilla near the top and ladle at least a cup of the chicken mixture into this hole before using the jalapeños as garnish. Breakfast tacos filled with bacon, eggs, and potato? That sounds like a tasty meal to add to your food repertoire to us! Best of all, these tacos will only take you about ten minutes to prepare and less than thirty minutes to cook. Here we go. Grab a large cast-iron frying pan and heat it over medium-high. Cook the bacon until it’s crispy and the fat becomes frothy, making sure to occasionally turn it. This step should take about five minutes. Use a kitchen towel to drain the bacon and place it aside for now but also make sure to set aside a pair of tablespoons of the bacon fat. Once the bacon is sufficiently cool to where it can be handled, break it up into pieces and put it aside. Grab that frying again and continue by cooking the potato, partially covered. Season it with the pepper and paprika if you chose to use it and continue to cook until it becomes tender and golden brown. Once it’s ready, move the potatoes over to a bowl. Use that frying pan over medium heat one more time to prepare the eggs and season them. Scramble them up until they become fluffy and their consistency is to your liking. Once you’re ready to serve, top the tortillas with eggs, bacon, and potatoes and serve with any toppings you like such as salsa diced avocado. Happy National Burrito Day! To celebrate, the ingredients below will show you how to make a delicious burrito casserole. Let’s begin. After you’ve made sure your rack is in the middle position of the oven, preheat it to 450°F. Use a large oven-friendly skillet to soften the garlic and onion in the oil over medium-high heat and then add the meat, using a wooden spoon to break it up. Cook until it becomes golden brown. Follow by adding the spices, rice, jalapeño, beans, broth, and tomato and then season with pepper and salt. Cover it up and cook for about fifteen minutes over medium-low heat or until all of the liquid is gone and the rice is cooked. Make sure to occasionally stir. Sprinkle the cheese over the rice and then bake for about ten minutes or until the cheese has sufficiently melted. Allow it to cool for another ten minutes. While it’s cooling, place the pieces of tortilla on a baking sheet and bake them for at least five minutes or until they become crisp and slightly browned. If you chose to use it, use the cilantro to sprinkle it on the burrito casserole. Serve with the optional sour cream and some tortilla chips and you’re ready to enjoy a celebratory meal. This update or recipe is provided by tortilla manufacturer Easy Foods Incorporated. Our wholesale tortillas products include corn tortillas, flour tortillas, tortilla chips, and wraps. For more information on our services such as tortilla food service or tortilla brands like Tacomex and Vedgee or private label tortillas, please call 305-928-1593. Our business hours are 9 am to 5 pm Monday through Friday Eastern time and we are closed on weekends. 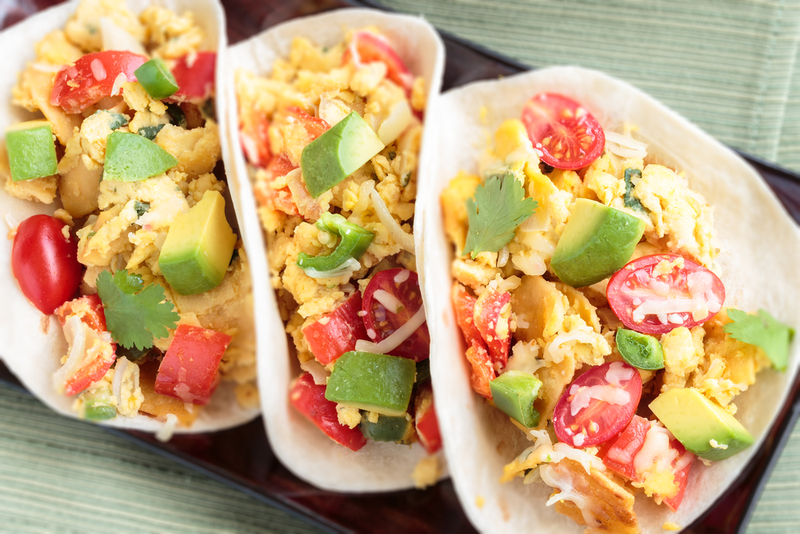 Who says you can’t have tacos for breakfast? With these potato, egg, and bacon tacos, you might just want to switch up your morning meal routine a little. Let’s begin with the ingredients. Grab a cast-iron frying pan and warm it up over medium-high heat. After you add the bacon, cook and turn it every once in a while until the fat becomes frothy and the bacon is nice and crisp. This step should take about five minutes or so. Once the bacon is ready, drain it using a kitchen towel and place it aside. Make sure to reserve a pair of tablespoons of the fat. Once it has sufficiently cooled to where it can be handled, break the bacon up into small pieces and set it aside. Place the frying pan on the heat again and add the potato, making sure to season it with the pepper, salt, and the paprika if you chose to use it. Cook while partially covered until the potato is tender and golden brown. This step should take about eleven minutes. Once it’s ready, move the potato over to a bowl. Crank the heat to medium, place the pan over it once again and add the eggs along with the seasoning and then scramble them until you achieve your preferred consistency. Once you’re ready to serve, top the tortillas with the potato, bacon, and eggs along with any toppings you may like such as salsa, avocado, onions, or hot sauce.